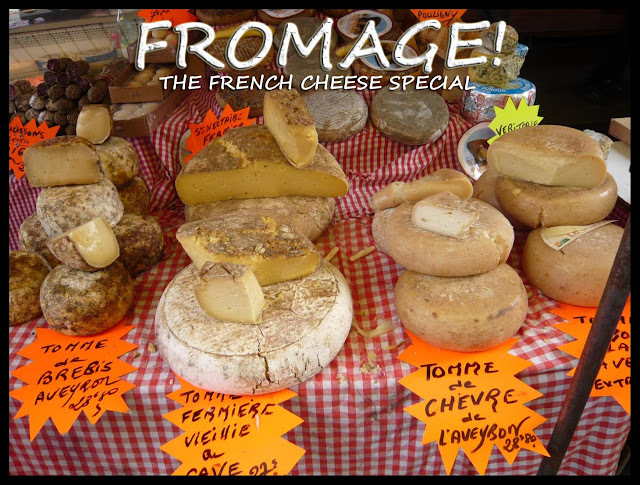 Aaah bonjour mon ami, J'adore le fromage! So I have just had a weekend jaunt to Paris, and what a lovely city - saw all the sights Eiffel Tower, Arc De Triomphe, Notre Dame.... all very impressive, until I found a street market with a cheese stall which for me was one of the main highlights of the trip. It was a hot day, so the "perfume" in the air was an utter delight! 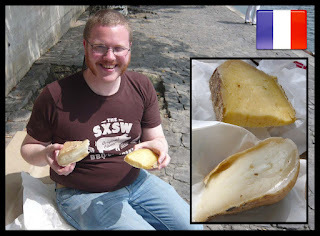 The market stall holder was a gentleman and cut various tantelising tasters from his selection of cheeses for us to try - eventually we opted for a wedge of the above 2 cheeses (see pic) - the Fermiere Viellie au Cave - was a soft and milky flavoured cheese - quite mild, but lovely and fresh on a hot day, whilst the Chervre de L'aveybon, also a soft cheese, but firmer, with a stronger flavour and colour than the fermiere Viellie. 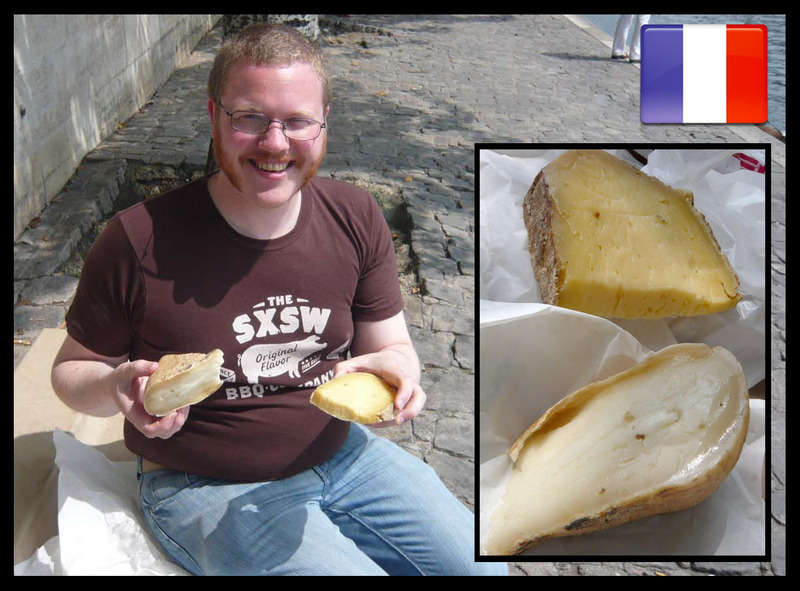 Both were enjoyed with a traditional crusty french bagguette down by the Seine with my good friend Alex. TRES BIEN! I will add to this when I do some research into each cheese to see if I can find out any interesting cheese facts about these 2 beauties!! !